WRA assists the school district with technical evaluations of existing facilities, helping assess the effectiveness and useability of current facilities. These studies may be specific project-based analyses, or they may be general needs-based studies across the district. WRA facility assessments produce measurable results for six categories; educational appropriateness, safety and health, accessibility, efficiency, flexibility, and appearance. WRA can assist the District in evaluating and determining which facilities require renovation, expansion or updating; the District may also determine general locations where new facilities will be needed in the community. During the evaluation, WRA visits, reviews and evaluates the various locations to help the District prioritize the needs. 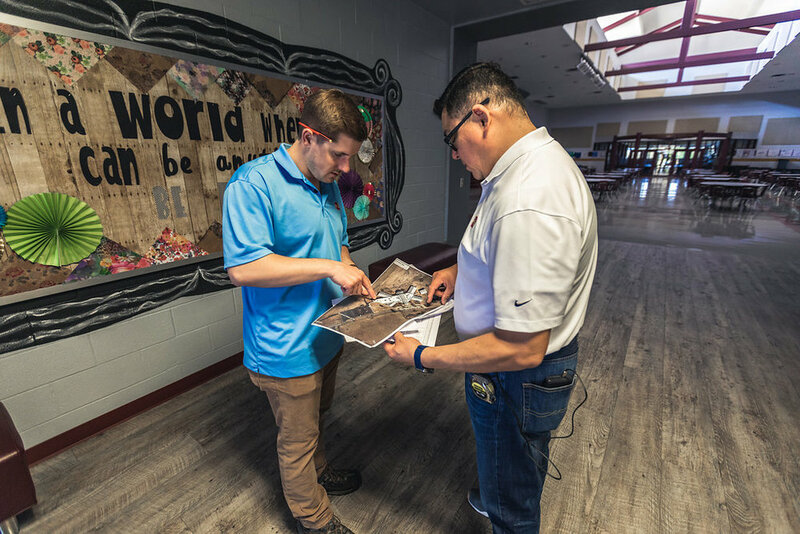 Existing buildings are examined for potential improvements and upgrades for code compliance, handicap accessibility, and improvements to circulation and functionality. TEA current minimum standards are always followed as well. WRA recommends including the maintenance department in the evaluation to identify situations not readily visible, or to identify unique problems at each site. Often districts rely on WRA to develop new facility requirements for changes in the use of an existing building, such as the conversion of an existing high school into a junior high or middle school. Other considerations might be long-term cost comparisons and trade-offs of mechanical upgrades and other energy related options.